Your dream home is now ready! This large, open plan is ideal for entertaining family and friends. 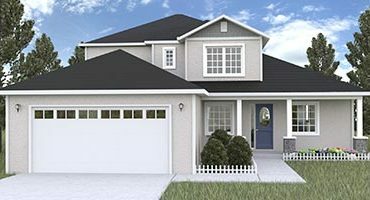 From the designer, exterior details to the premium standard interior features, the St. Augustine by Oak Ridge Homes is sure to delight all of the senses! Welcome to the St. Augustine! This large, open plan is ideal for entertaining family and friends. 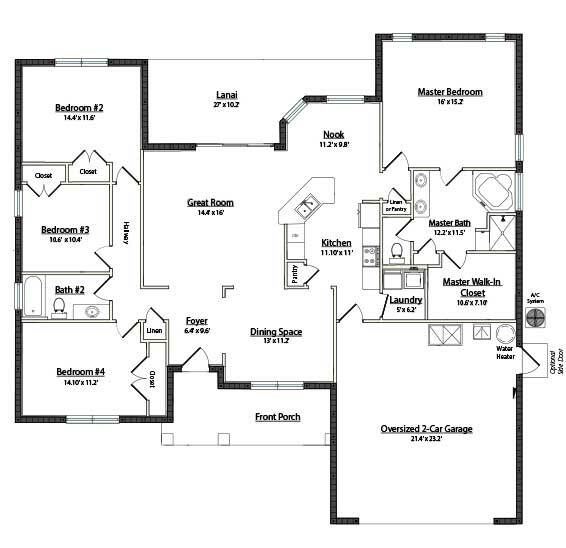 From the designer exterior details to the premium standard interior features, the St. Augustine by Oak Ridge Homes is a home to be proud of! The exterior entry has options for multiple elevations featuring custom stone and decorative fencing or beautiful modern columns framing the front porch. Upon entering, you’ll appreciate the large open great room and formal dining area. From there you’ll notice the spacious covered lanai which provides indoor and outdoor living space to enjoy with friends and family. The light and bright open kitchen with breakfast bar and nook are sure to inspire chefs of all ages! Relax in the spacious master suite, massive walk-in closet and luxury bath boasting dual vanities, garden tub, tiled shower and closeted toilet. Your guests enjoy the opposite wing of the house, situated with a shared bathroom and three bedrooms. All Oak Ridge Homes can be customized! Just ask! On your lot or ours! Call for pricing! © 2017 Oak Ridge Homes. Powered by wordpress | All Rights Reserved.